The sale of the Washington Post for $250m to Amazon founder Jeff Bezos may have taken Washington DC unawares – newspaper people are good at being secretive when it matters – but nothing in this emblematic story is surprising. There’s every chance that this is a good development. Here’s why. The Post, owned until Monday by three generations of the Graham family, had been struggling as a media business and had sought a way out by buying into businesses which looked likely to help keep the company afloat. It had become an electronic education corporation with a famous newspaper as an appendage. Last month, the company bought a furnace business; it stopped describing itself as a media business some time ago. Editorially, the paper still holds the attention of Washington’s older movers and shakers; its reporting can still set the capital’s agenda. But advertising revenue had fallen steadily, partly because it was not recruiting younger readers in sufficient numbers. Its editorial personality has lost much of its self-confidence. 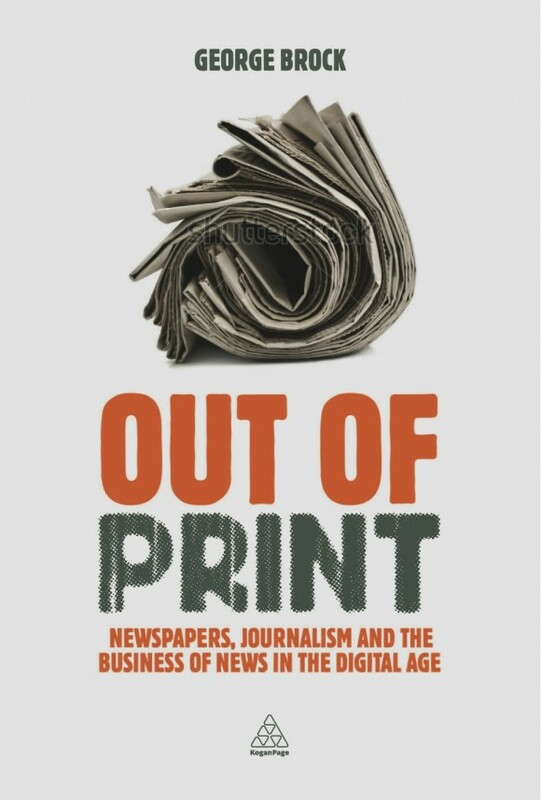 I’ve written a book (published next month) which tries to explain exactly how this kind of crisis has come about in the European and American print news media. I argue that despite the threnodies for mainstream newspapers in difficulty and decline, the future prospects for journalism are good. As it happens, the book’s graph showing how online advertising income has not compensated for the loss of print ad income uses the example of the Washington Post. We all suspect that people read less on the web than they pretend. Not least because if you blog, you can read the analytics and discover that very few people ever turn the page. I’ve always wanted to see how few people actually reach the end of even short posts and stories. Now someone’s actually using software which does that and more. It’s all explained in this story by Slate’s technology writer, Farhad Manjoo. At some length. On the face of it, this skipping, hopping, snacking pattern of reading is discouraging if you write stuff in the hope that people will read it. But I suspect that this is a transitional phase and that these habits may change over time. Each new communications technology which increases the amount of information in circulation creates a temporary explosion of stuff to consume which is chaotic and which splits attention into small fragments. Then, we master the new flow and settle down to slower, calmer absorption of what we want and need to know. It’s easy to exaggerate how much printed news content people actually read. Yes, the minutes logged as newspaper reading are much higher than on screens. A person reading a paper for 20 or 30 minutes will probably reach the end of at least one piece of several hundred words. But how many people read past the first two paragraphs of a printed news story or feature? The more information in circulation, the more we switch off if we suspect we know what’s coming in the rest of the piece. Formulaic journalism now dies quicker on any platform. There was an editor of the New York Times three or four back who is said to have never quite recovered from being told by market researchers that in the category of the paper’s most loyal readers, no more than 10% of those read past page 4. For many years, Slate has been one of the best sites for commentary in America. One of the stupidest things that intelligent team ever did was to sack their media columnist Jack Shafer, who now writes at Reuters. His trenchant style hasn’t yet quite recovered from the transfer, but he continues stubbornly to refuse to think with the herd. For this alone he is required reading. As evidence, here is Shafer’s column on Warren Buffet (left), the uber-guru of counter-intuitive investors everywhere, and newspapers. Buffet has owned newspapers on and off over the years and his commentary on their profitability or otherwise happens to write the twentieth-century history of printed media pretty well. And not just in America either. Once upon a time, newspapers could price their advertising space pretty much as they wished because their position in their markets was strong, bolstered by lack of competition and brand loyalty. Now that “franchise” has weakened. A cold-eyed view? Yes, but that is no bad way occasionally to look at newspapers which have more often been seen through rose-tinted spectacles of sentiment. Journalists like to think that they are above grubby matters of business. But if you don’t understand what went wrong in the business model for printed news media, how are you going to figure out what will work in the future? People prattle on about the supposed rivalry of print and online. This supposed competition will fade away as portable screens become gradually get closer and closer to being like paper, as tablets and iPad-like devices slim down and become more robust and optically easier on the eye. This artificially-enhanced “battle” is much less significant than the threat posed to words as a medium of information in the public sphere. The web is a carrier of words, audio and video. Is there a risk that words, which can encode more complex and many-layered meanings than sound and picture, will get drowned out? I fervently hope not. This blog is partisan for words. Sadly, we may not have too many words to come from Tony Judt, the British-born historian who wrote Postwar, the brilliant history of Europe in the second half of the twentieth century. As he writes from his wheelchair, “in the grip of a neurological disorder, I am fast losing control of words even as my relationship with the world has been reduced to them”. So cherish Judt’s hymn to words while we still can. Trend-spotting tends to turn up new words or at least neologisms. Jack Shafer of Slate has developed a strong line in fake-spotting in trend-spotting. Here he sticks it to the New York Times for its “bogusity”. Yes, my dictionary offers “bogusness” as well, but who cares. Bogusity might just be a good enough invention to take over. Media Economics — Comments Off on Newsweek RIP? All you need to know about the background to Newsweek’s decline and likely fall (with links to other commentaries) from Marion Maneker’s Goodnight, Gutenberg blog at Slate. Big audience last night for an Intelligence Squared debate on news, or more specifically on is “free” threatening news? Diffuse discussion, long on rhetoric and feeling and short on facts. A few of the nuggets…. Media analyst Claire Enders asked the question that most of her fellow panellists wanted to avoid: will the young consume serious news? The more traditionally-minded panellists huffed that the young were always being complained about and puffed that they had never read newspapers much anyway in any era. Enders calmly pointed out that there is plenty of evidence that this younger generation aren’t reading or consuming serious news as much and that the average age of a newspaper reader in Britain is 45. Enders was not evangelising for online. She said that the average news user on the internet looks at news for 30 minutes a month. The average newspaper reader reads for 30 minutes a day. She linked the fall in literacy to the profusion of digital communication devices, citing the decision by the state of Massachusetts to stop issuing laptops to schoolchildren when literacy rates began to fall. Last fact from Jacob Weisberg, the CEO of the excellent Slate. The newsroom of the New York Times costs around $200m a year to run. The digital advertising income of the NYT in a year? Around $200m. So may be there are the glimmerings of a business model there – if only the NYT wasn’t so badly run.